CNN announced today that Bill Weir will bring a new Original Series to the network beginning early next year. The Wonder List with Bill Weir will join the recently announced series THE SEVENTIES and High Profits, both debuting in 2015. With The Wonder List, Weir will tell the untold stories of extraordinary people, places, cultures and creatures that are at a crossroads. Who will be the last person to see a Bengal tiger in the wild or be baptized in the River Jordan? Who will be the last person to savor an unspoiled island paradise in the South Pacific or hike a glacier in Montana? At the current rate of planetary change, some odds suggest that the last people who will experience these wonders are alive today. And one of them might be your child. Through the lens of renowned cinematographer Philip Bloom, Weir will transport viewers to visually stunning locations from a sinking Venice, to a vanishing Dead Sea to the disappearing glaciers of the Alps. Here, Weir will embrace amazing people, places and creatures that could be lost to future generations, including his own ten year old daughter, and discover what can be done to save them. 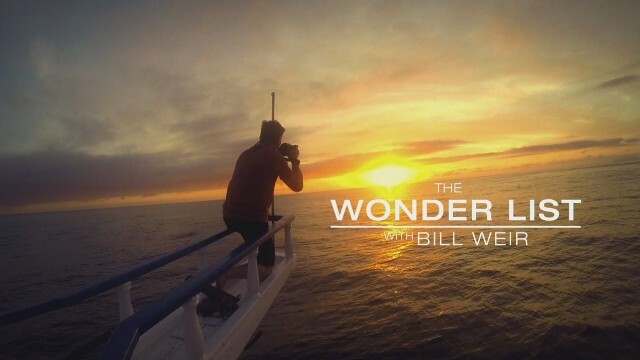 The Wonder List with Bill Weir, a CNN Original Series produced by CNN, will air over eight, one-hour episodes beginning in early 2015, and joins CNN’s successful Original Series lineup that includes This is Life with Lisa Ling, Somebody’s Gotta Do It with Mike Rowe, The Hunt with John Walsh, Anthony Bourdain Parts Unknown and Inside Man with Morgan Spurlock among others.